Gerber is known for value products that tend to be easy on the wallet. 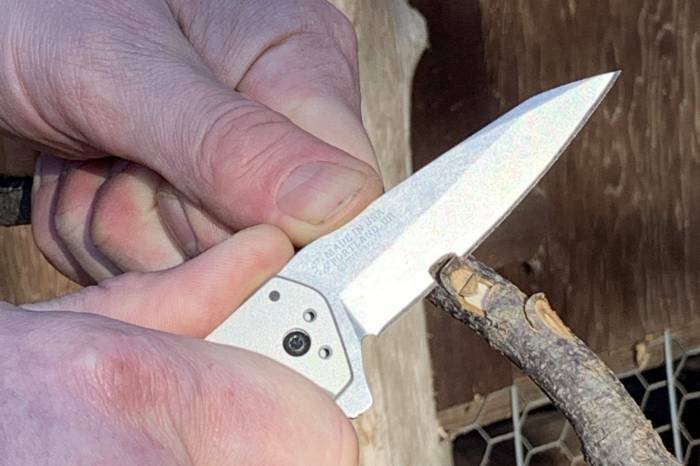 But the just-announced Fastball is a drool-worthy new premium EDC knife from the American brand. Revealed today, the Fastball comes in three models: Flat Sage Green ($110 MSRP), Grey ($110), and Black ($115). All three come with a 3-inch S30V Wharncliffe-style blade mated to a Type III mil-spec aluminum handle — the black model is blacked-out with a black oxide handle. Each is made at the Portland, Ore., factory and will be up for sale on February 13. 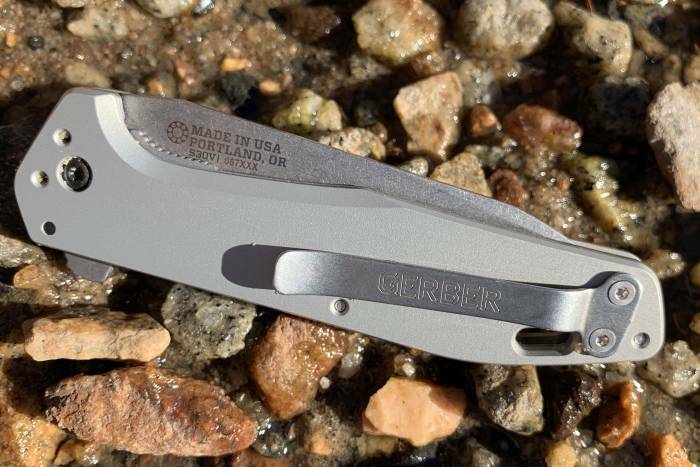 To deploy the blade, it has a finger flipper and rotates open on Gerber’s patented B.O.S.S. Tech stainless steel ball bearing system. It locks into place with a liner lock. Use the pocket clip in three positions: tip down, tip up, and tip up for lefties. Other features include an oval lanyard hole that sits in front of where the clip mounts to the frame and a black TPU backspacer that has some notches (similar to jimping) to provide a bit of extra grip in your palm. I had the weekend to put this light (2.7 ounces) and nimble knife to the test. It proved to be a capable and handsome daily performer. Out of the box, the feel of the Fastball is premium. The aluminum handle has a soft, almost satin finish that’s a pleasure to hold. One cool feature is that the knife only has a liner on the side that locks up, making the knife slim and pocket-friendly. The B.O.S.S. system works smoothly and adds to the knife’s solid feel. The finger flipper is a bit stiff. But once past the initial resistance, it flips out quickly and securely. Gerber calls this its “light switch” operation. 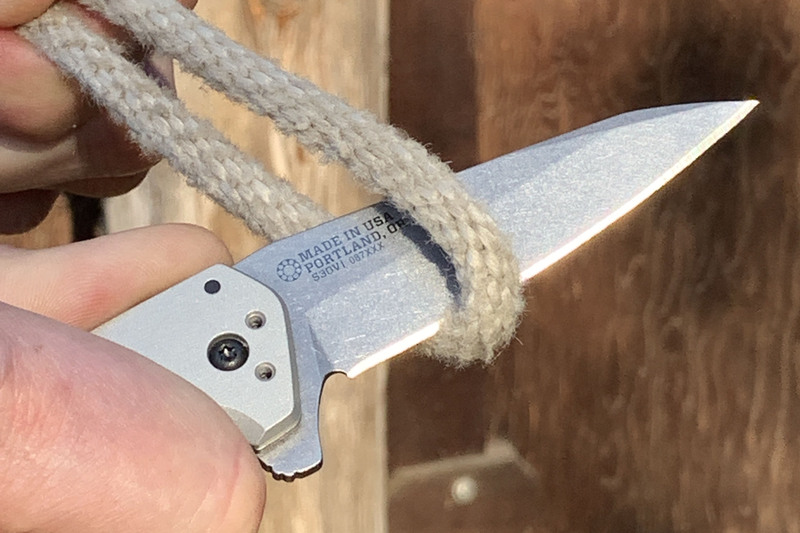 “A user can simply apply a small amount of pressure to the flipper tab, and the blade punctually deploys and locks up, almost as if a spring [were used],” said product manager Karrson Koivisto. 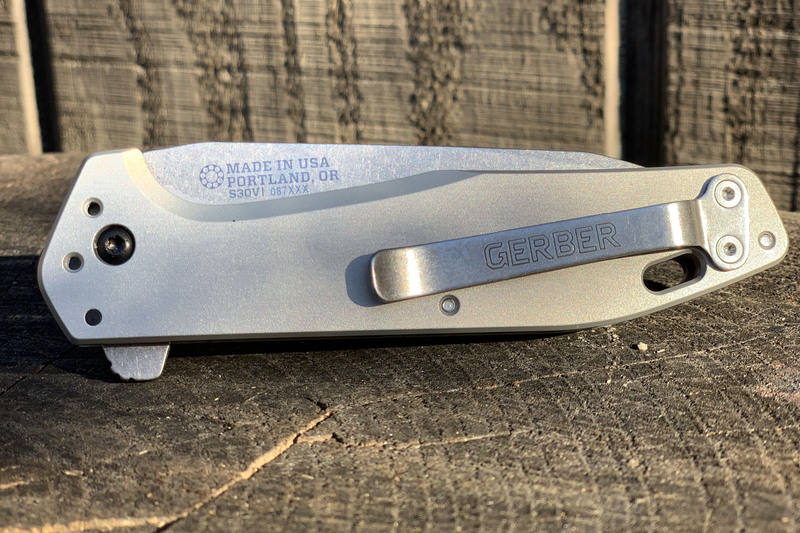 Gerber makes the blade from CPM S30V steel with a light stone-washed finish. Many consider it a great all-around material for an EDC knife — tough enough to withstand heavy abuse and harsh conditions while still able to hold an edge. The Wharncliffe design, with its flatter cutting edge profile, makes it great for the general utilitarian tasks that tend to challenge an EDC knife. Cutting rope, opening boxes, shaving sticks, and whittling were easy with the stout blade. It remained sharp through this quick first test. The 4-inch handle felt safe and secure in my sweaty hand. Overall, the polished and premium Fastball is a welcome addition to Gerber’s more utilitarian lineup. Its handsome design, high-quality materials, and smooth operation make it an EDC you’ll be proud to show off to fellow knife enthusiasts.